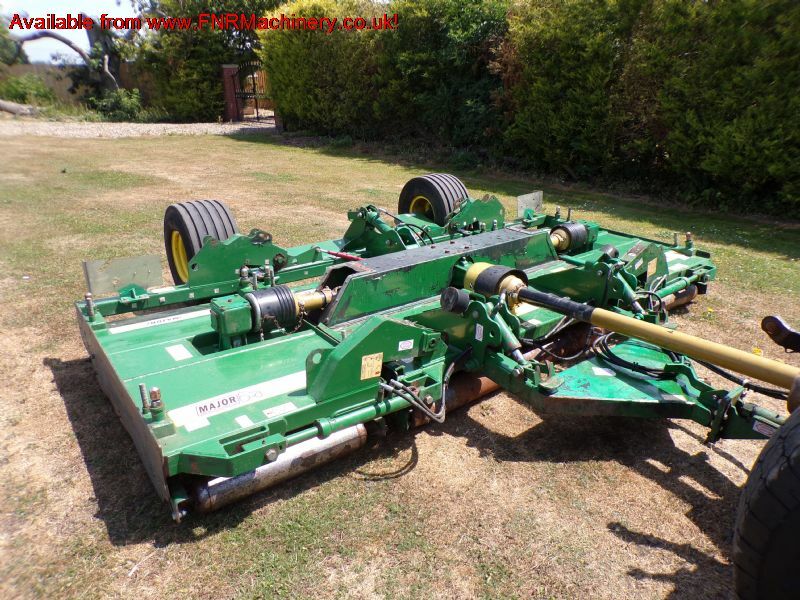 Brief Description: FULLY SERVICED WITH NEW BLADES. INTER GEARBOX SHOCK LOADING PROTECTION. 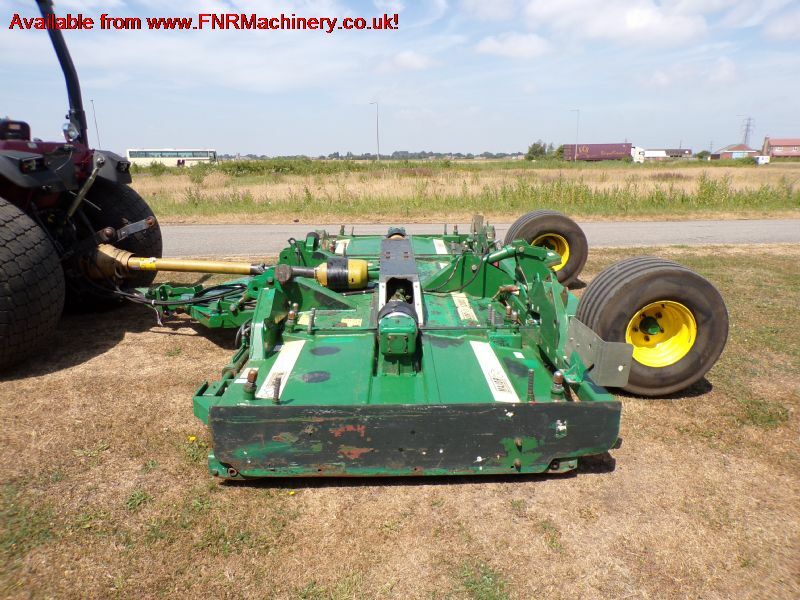 WIDE ANGLE PTO SHAFT WITH SLIP CLUTCH AND OVERRUN. INTERNAL DOUBLE ROLLER BEARING HOUSING. SWIVEL DRAWBAR HITCH. PARKING JACK. 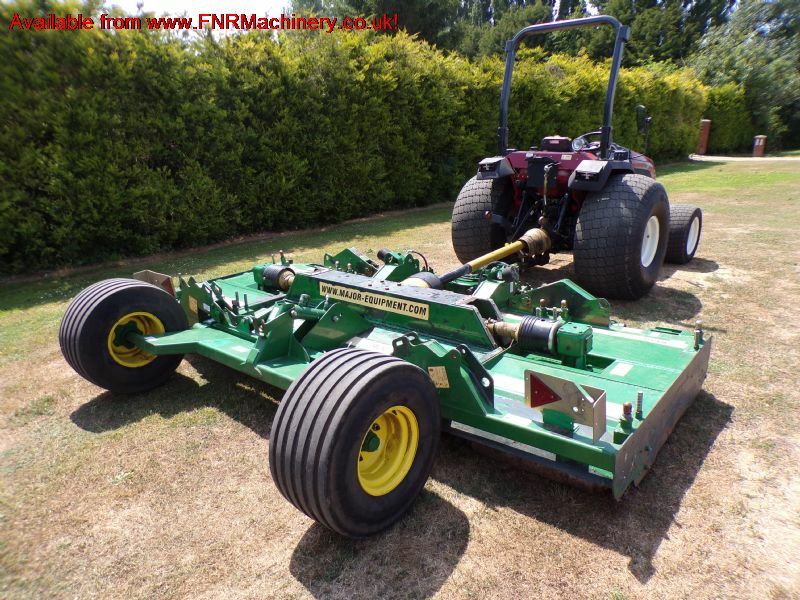 More Information: The 12000GR Rollermower is ideal for maintenance of large grassy areas such as sports grounds, golf courses, airports, racetracks and parklands. As all the gearboxes are in one line, the effective cutting widths are at a maximum. There is no waste of cutting area from having the rotors staggered as in a belt driven machine. The machine is only as wide and as deep as the diameters of the rotors, therefore it can follow the contours of the most undulating ground and give a perfect finish every time. The 12000GR has four and six rotors respectively and are mounted in three different sections. Two rotors are mounted in the main body of both machines; the others are contained in the wings. The design of the machine ensures that no windrowing of cut material takes place due to the unique aerodynamic chamber that surrounds each blade and the rotation of each rotor. These factors cause the grass to be ‘sucked�. 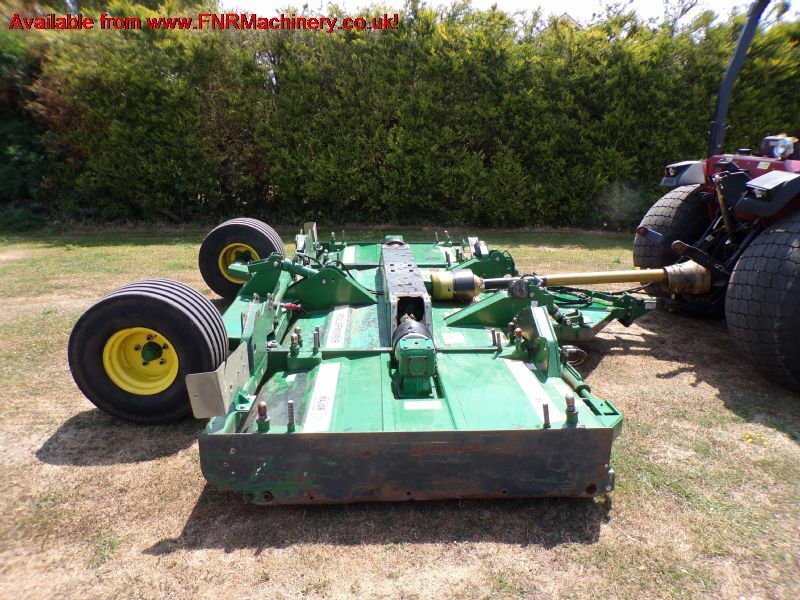 The 12000GR TRAILED ROLLERMOWER towards the blade, cut finely and then blown, in an even layer from the rear of the machine. It can cut up to 9.7 acres per hour. Fitted with BKT turf tyres as standard. 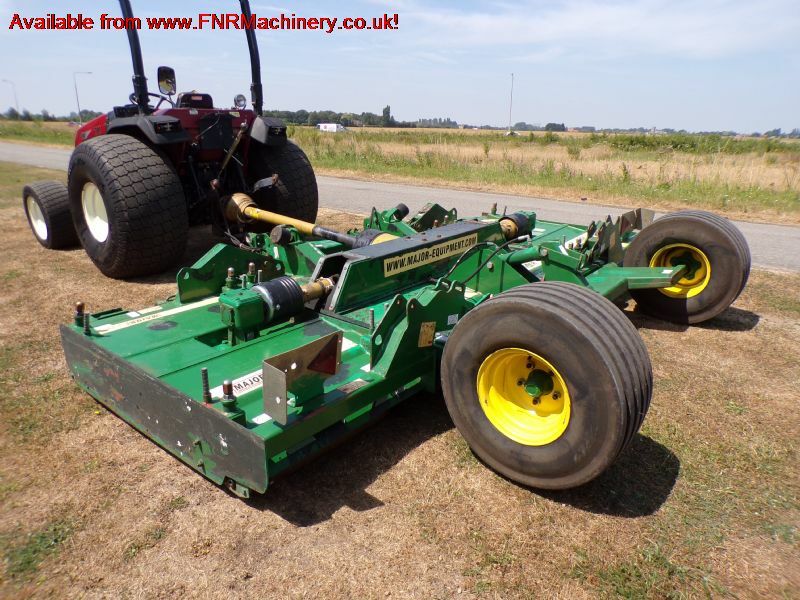 It can be hydraulically raised clear of the ground for mowing and lowered for mower transportation. 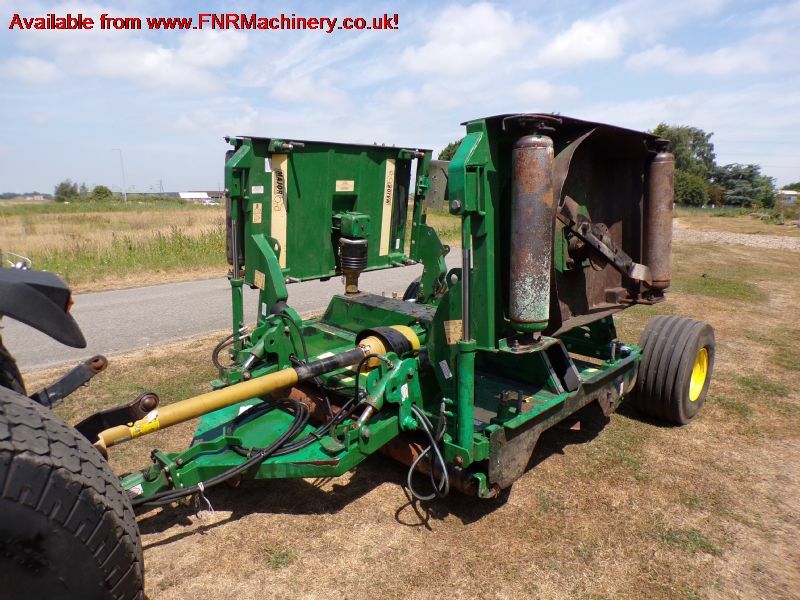 The drawbar is fitted with a hydraulic ram to give additional ground clearance when the machine is in the transport position.